Coupled with robust, high-performance PDF technology, Voice Dream allowed users to listen to text documents and improve productivity through their app. Voice Dream’s founder Winston Chen started Voice Dream as a hobby while he was in the Arctic. Since he wasn’t expecting to put too much investment into his app because he looked at it as a leisure pursuit, he wrote the complete app himself. As the app was gaining popularity, users started requesting more features. The addition of these features required a more powerful PDF technology to quickly extract each word and its location on the screen so that the app could highlight each word as the voice was speaking. Winston realized his PDF code wouldn’t work well as the app grew and that he would need something better. So, he looked for free PDF libraries, but they didn’t do a good enough job either. Finally, he realized that his app was becoming a business and if he wanted to success, it was critical to use robust, high-performance PDF technology. Winston investigated three different PDF solutions to help him to improve his app. The one that worked the best and fit perfectly with his budget was Foxit Embedded PDF SDK. “I choose Foxit since it worked, was affordable, and uniquely accommodated to my business needs and business model. Foxit provided more sophisticated technology that enabled me to do things the others could not.” – Winston Chen, founder at Voice Dream. Foxit provided Voice Dream a custom feature to rapidly locate and highlight text while the voice was speaking. This innovative feature is very important for Voice Dream users who have reading difficulties since they can now follow the voice and see the highlighted text at the same time. This further improves their reading skills. The Foxit technical and support team helped Winston during the integration of Foxit Embedded PDF SDK into his app, making the process painless. “Foxit provided me with the technical help and financial flexibility to make it work; I wouldn’t be able to obtain the same or much better results with any other PDF provider than Foxit,” – Winston Chen, founder at Voice Dream. 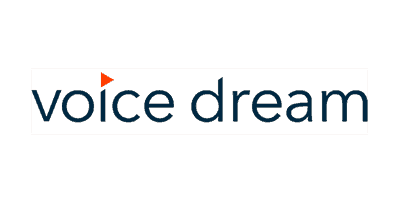 Get in touch with us below to find out more about Voice Dream’s success.